Most of us think that we have too much stress—And the answer to having a good life is to get rid of it all. But, that isn’t true. Instead, we need to understand Stress Paradox #1—stress is really a sign of a meaningful life. Getting rid of all the stuff you stress about would mean getting rid of what you care about in life. 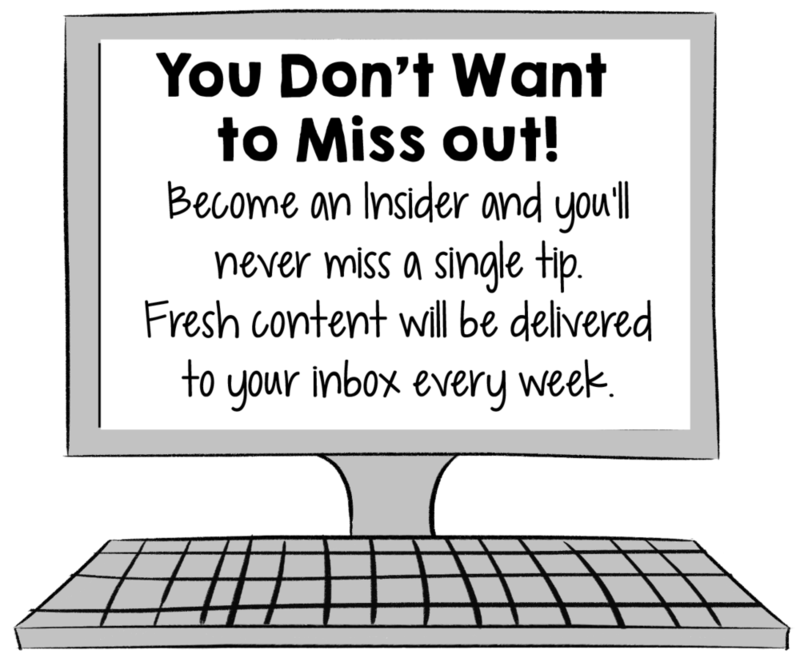 You can use the How to Make Stress Your Superpower series to get great at stress on your own, or you can get help from me 1-on-1. Stress is bad news. It makes you sick, tired, and can even kill you. 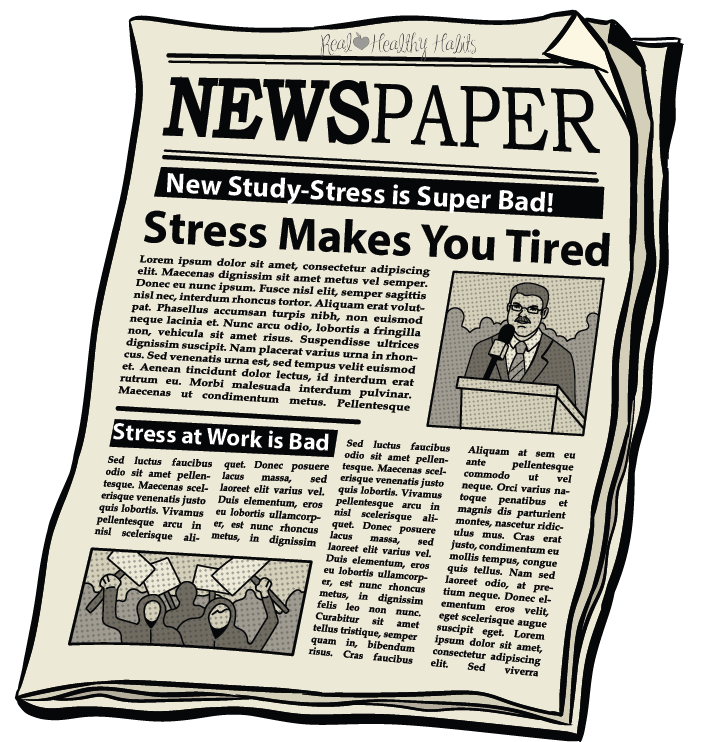 BUT, What if there was an alternate reality, where stress could be good for you--great even? Good news--That reality already exists! To tap into its power, you need to learn Stress Paradox #1. Stress is bad news. It makes you sick, tired and can even kill you. But what if there was an alternate reality where stress can be good for you—great, even? Well, good news! That reality already exists. To tap into its power, you need to learn the two paradoxes of stress. Once you learn these, I can help you make stress your superpower. Research shows that no matter what their stress levels, people think they're just too high. Even people who have low stress, they think they should have less. Most people believe they should get rid of all of their stress. Then the researchers looked at what predicted meaning in these people's lives. Surprisingly, stress ranked super high. People who had stressful pasts, they said their lives were meaningful. And, people who had stressful presents, they had meaningful lives too. The researchers decided that, “People with very meaningful lives worry more and they have more stress…” Stress seems to be a consequence of pursuing goals and having roles that feed your sense of purpose. 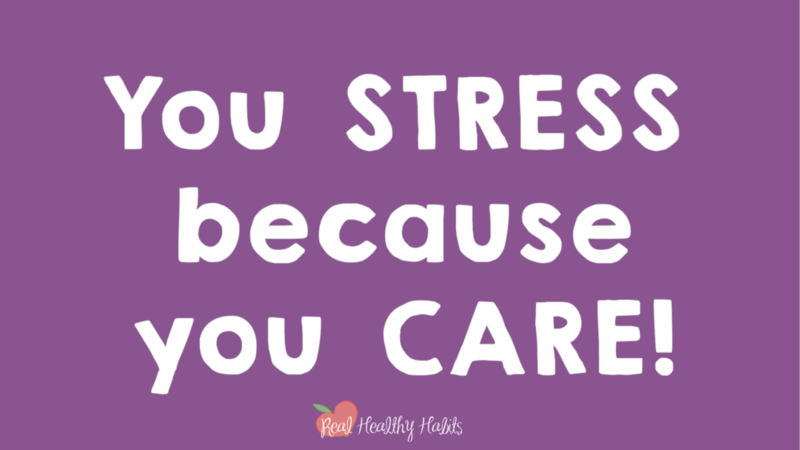 That means you stress because you care. Well, I didn't know what she was talking about. We had had a lovely day that day in northern Alabama where I live. So, I went back to what I was doing. I think I was actually working on this (video series). And it turned out that there were some devastating tornadoes in southern Alabama. I felt sad for those people that were affected. But, I got back to what I was doing. He's going to college there. And all of a sudden, I felt stressed. 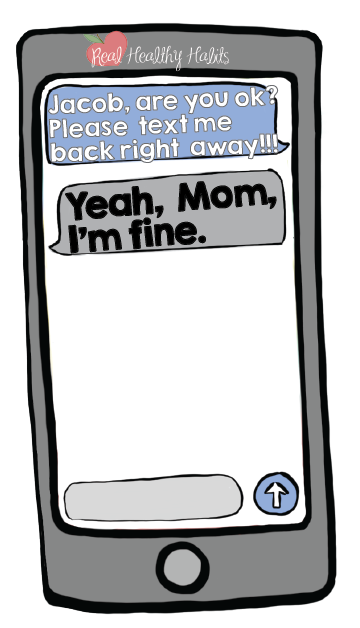 I didn't feel better for another hour until he finally texted me and told me he was okay. I cared, and then I got stressed. You have lots of things in your life worth caring about. Things like work, parenting, relationships, caregiving, health. Those are all the things you care about—and stress about. And, they bring meaning to your life. Most of us don't choose our stress. and we can't get rid of all the things that are stressful—like our kids, our spouses, our homes, or our jobs. Not every stressor in your life is going to feel full of meaning. 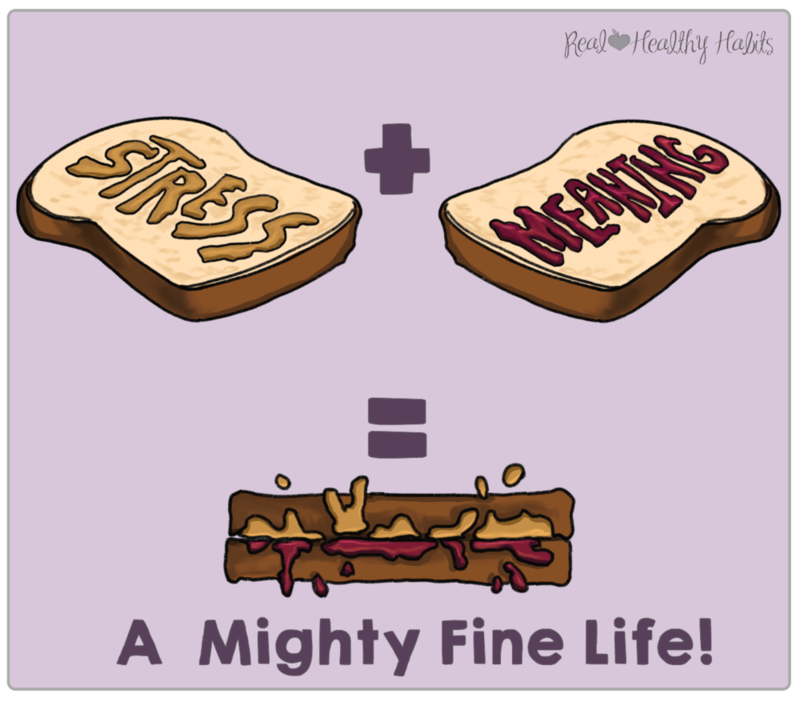 But if you look at your life as a whole, stress and meaning go together --like peanut butter and Jelly. Stress can feel a bit crunchy at times. And by itself, meaning can sometimes be sickly sweet. But, if you put those together, you've got a mighty fine sandwich. I mean life. A mighty fine life. So, remember the truth of Stress Paradox #1—A meaningful life is a stressful life. 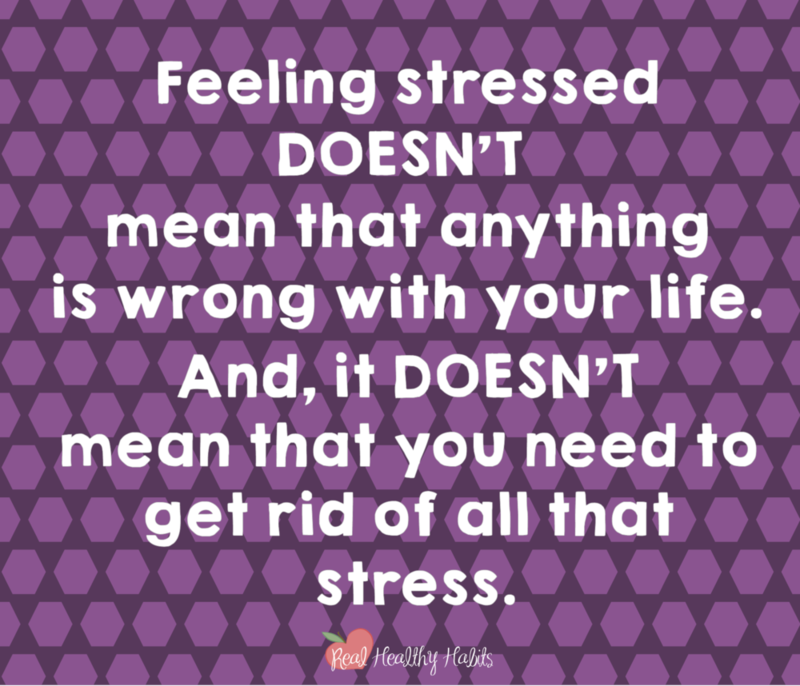 Feeling stressed doesn't mean anything's wrong with your life. And, it doesn't mean you need to get rid of all that stress. Instead, keep working towards your goals and keep loving on your loved ones—knowing that you've got a meaningful life. If you need a little help with reframing your stress and getting good at it, check out my video/ blog post series. 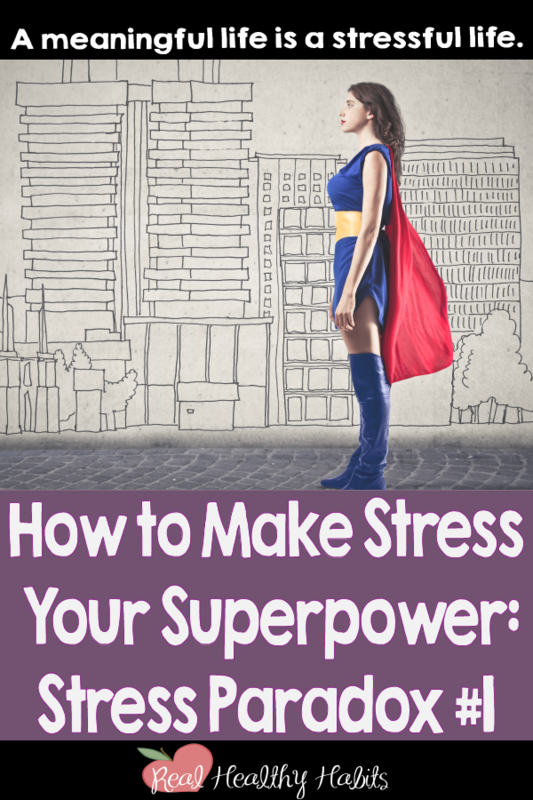 Next week, I’ll teach you Stress Paradox #2, so you can learn How to Make Stress Your Superpower. Hi, I’m Treva, your health and weight loss coach! I'm a dietitian, personal trainer, and health coach who can help you finally get healthy and lose weight for good.